Driving by this scene was a mistake. Out of the corner of my eye I saw this zebra up on the crest of the ridge, three times I said to myself, we should have stopped for that one. The fourth time, and at least 100 yards past the scene I asked our driver to hold up and back up. 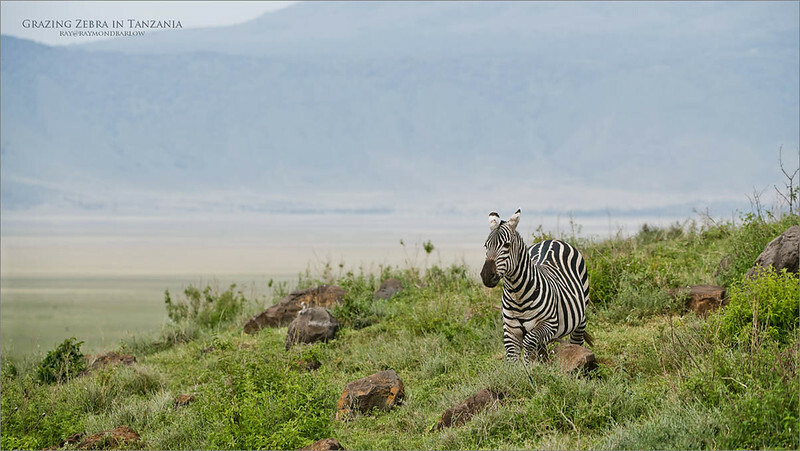 Kicking myself, the zebra had moved closer, away from the ridge line, nearer to us. We fired a few frames regardless, ending up with this shot of which I can use as a reminder to be more sharp, and decisive.